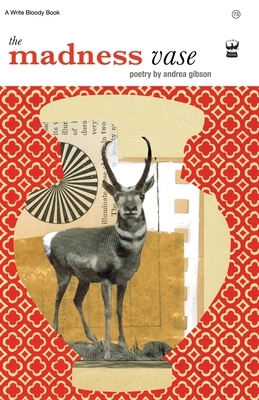 Popular in queer communities, anti-war organizations, college campuses and women/gender studies programs, Andrea Gibson's second book of poems, The Madness Vase's topics range from hate crimes to playgrounds, from international conflict to hometowns, from falling in love to the desperation of loneliness. Gibson's work seizes us by the collar and hauls us inside some of their darkest moments, then releases out the other side. Moments later, we find ourselves inhaling words that fill us with light. Their luminous imagery is a buoy that allows us to resurface from their world clutching new possibilities of our own, and linger in our psyches and entreat us to action. They challenge us to grow into our own skin. By the time you finish reading The Madness Vase, you too will believe, "Folks like us/We've got shoulder blades that rust in the rain/But they are still G-sharp/Whenever our spinal chords are tuned to the key of redemption/So go ahead world/Pick us/To make things better.